CRUISE FUNDRAISER UPDATE: 98/100 prints are sold! Only 2 prints remain! I am expecting delivery of the prints any day now and they’ll start shipping as soon as they arrive. I made a new eBook/iBook! 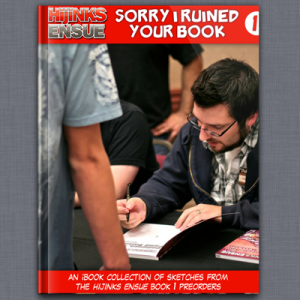 It’s called “Sorry I Ruined Your Book Vol. 1” and it has over 180 pages of HE book 1 preorder/artist edition sketches with commentary on every drawing! 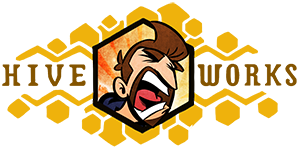 Donation subscribers get it free and it’s also available to anyone for a one time “pay what you like” donation. Jodie Foster’s public coming out may have been unnecessary at this point, but it was certainly a grand gesture. “On the stage of the Golden Globes, accepting a lifetime achievement award for “An especially good job at being one of America’s favorite and most enduring movie stars for the last 40 years or so” is a pretty impressive answer to the question, “When and where did you come out?” If you watch the speech, it’s very odd that the audio drops out just as she says something along the lines of “…this isn’t going to be a big coming out speech…” I wonder if the network got antsy and considering muting her or if it really was just a poorly timed audio mishap. Her speech may have been an odd, stream of consciousness (albeit joyous and life affirming) ramble-fest, but anyone reporting confusion as to whether or not she publicly affirmed her sexuality or not just weren’t paying attention at all. She spelled it right out and did so with confidence and class. I wasn’t really planning on writing a mini-rant this morning, but this is something I think about a lot. 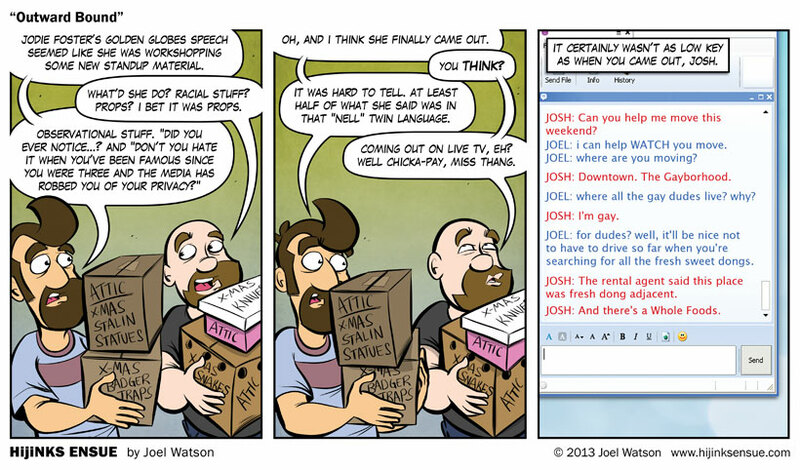 Primarily because, while INCREDIBLY close to the the real life truth, panel 3 up there in that comic conceals a lie. When Josh actually came out to me via instant message all those years ago, I was SUPER freaked out. Not because he was gay, but because I didn’t KNOW he was gay. We had been friends for years and I just thought he was terrible with girls. When I received the new information, I made the erroneous and selfish determination that he had been lying to me for our entire friendship. EHHHHNNN! Wrong. The truth, which I understood much later, was that our friendship had not yet progressed to the point that he was comfortable discussing sexuality with me.